In this greater good scale with nutritional facts review we looked at the special feature of the nutritional facts that come with this digital kitchen scale. Besides that this scale give you the weight it can also provide you with the nutrition facts and the daily values of the food you are weighing with the built in data base of 2000 foods. You can also add 99 of your own foods to this. 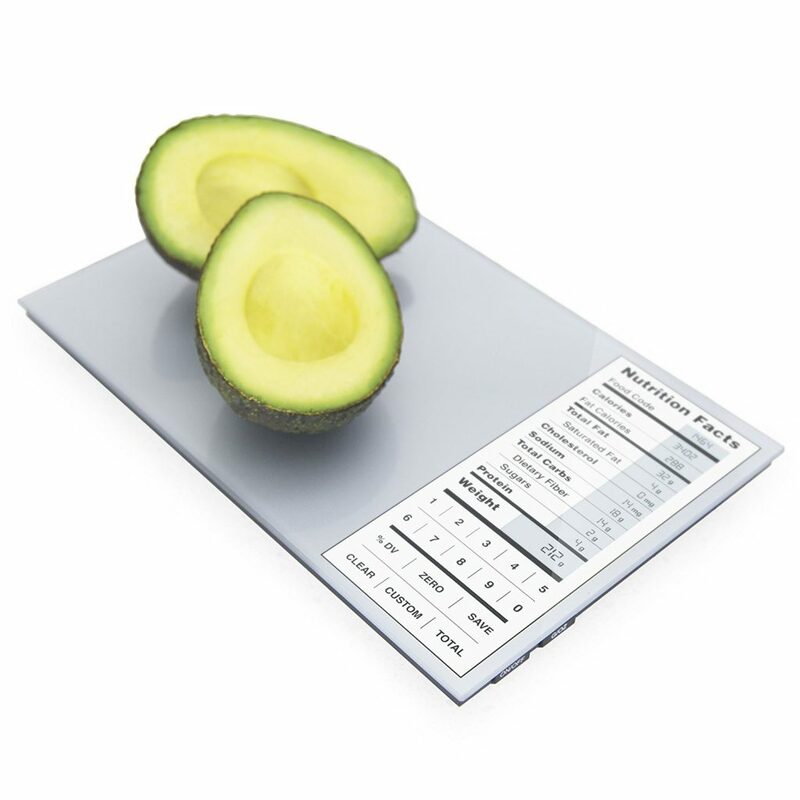 These features are what most kitchen scales come with lately. One feature that most scales do not have is the built in date base of 2000 foods that will provide you the nutritional values of the food you are weighing. This is an extremely good thing for people on a diet or with diabetes and have to balance their food. The book that comes with it contains a code for all the 2000 foods in it and all you have to do is find the right code and type it in the scale. When you start weighing it will show you all the nutritional values you normally find on the labels of the food you buy. It also includes the calories and the carbs. These numbers are adjusted to the weight of the product on the scale. As you can see this scale receives a 4.6 star rating from almost 500 buyers. What I found in the (4%) lower ratings is that they did not like it and or it failed. This happens to any product and can easily be solved by sending it back for a refund or money back. In general people are really happy with this scale and find the data base of food very useful. The only thing I read is that the foods are not in a logical order and some foods that hardly anyone uses. I guess that if there are foods that you use a lot you can either memorize or write down the code for easy to find. A few times I read that there was a lot of junk food programmed in the scale and not enough healthy food. As an example they mentioned “fried chicken” and no grilled chicken. But you can add that yourself like I mentioned. I also read that some people think the scale turns of to fast and think that the display is not easy to read unless it is in the right light, but others have no problem with this. I guess it is a personal thing. The accuracy of the scale is mentioned as very good and many people like to use it for meal planning. I have not find any information on how well they work but there are apps available for Apple Iphones and Androids. You can find them here. If you have any experience with these apps let us know in the comments below. After reading a ton of the reviews and looking at the low ratings first like I always do to try to find the bad first I have to admit that this kitchen scale is a pretty good buy. The lower ratings mention that is not easy to use the data base but others say it is very easy so I guess this is just a personal view, like with any other product. Most users liked it because of the accuracy and the nutritional fact for either a diet or diabetes although I can imagine it is also very useful for other types of diseases that needs a good balanced diet. There are other scales in our kitchen scale reviews and if this is not what you are looking for you can find it there maybe.